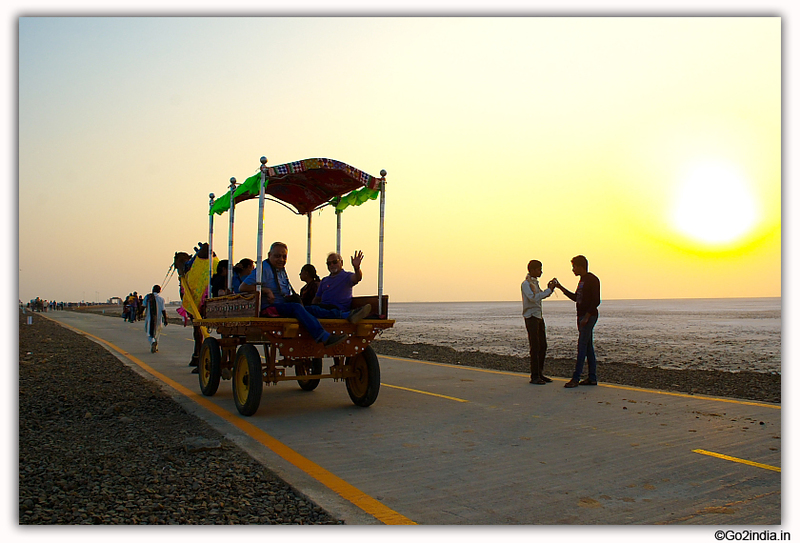 "Kutch nahi dekha, to kuch nahi dekha"
Bhuj is the center for all types of tour to Kutch region. This city is well connected by road , air and rail network. 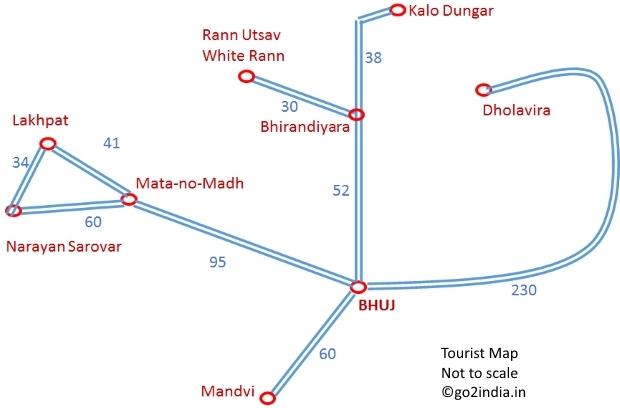 By staying at Bhuj you can plan your tour to different parts of the Kutch region. 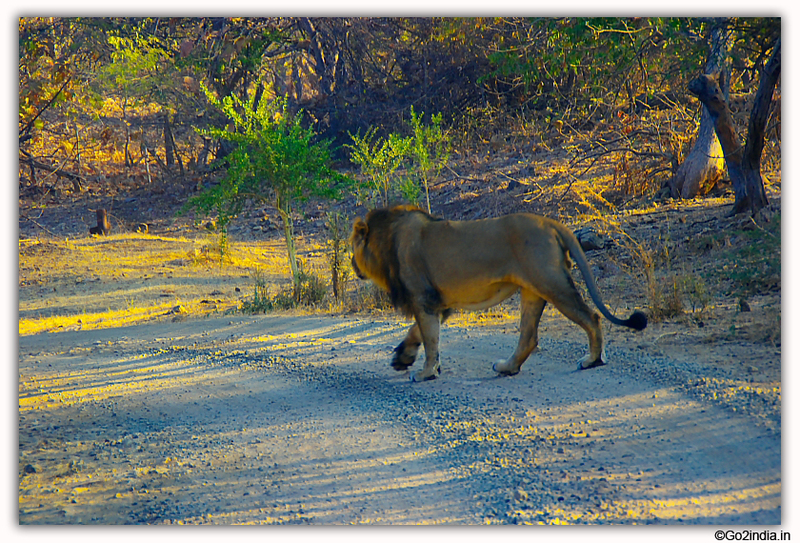 Based on your arrival time at Bhuj you can plan for sightseeing or take rest. Most of the tourist arrive here in morning trains from Ahmedabad, Mumbai and from different places. 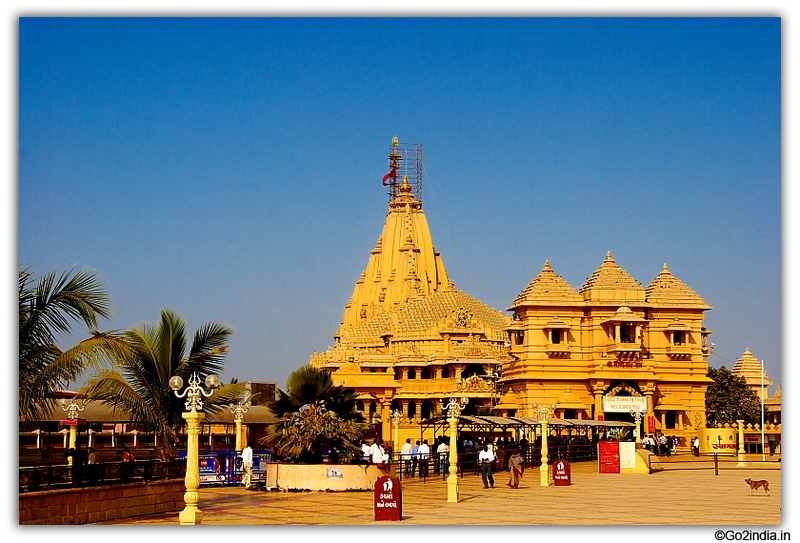 After checking in to your hotel you can start for local sightseeing of Bhuj town. This will take half day and after lunch you can start for Mandvi. Visit Mota-no-madh to visit temple of Mata Ashapura. This is at a distanc of 95 KM from Bhuj and it will take two hours. Then start for Narayan Sarovar lake which is one among the five holy lakes of Hindu mythology. This place is 140 KM from Bhuj. Further 2 KM you can visit temple of Sri Koteshwar Mahadev. From here travel 40 KM to reach Lakhpat village. This is an ancient village by the side of white Rann. After this return to Bhuj town and night stay at Bhuj. Get ready to visit heart of Kutch. Drive on straight road to visit Bhirandiyara village to collect your entry permit. This village is 55 Km from Bhuj town. From here left side road will take you to white desert ( Rann Utsav organiz every year here ) and straight road will take you to Kalo Dungar. 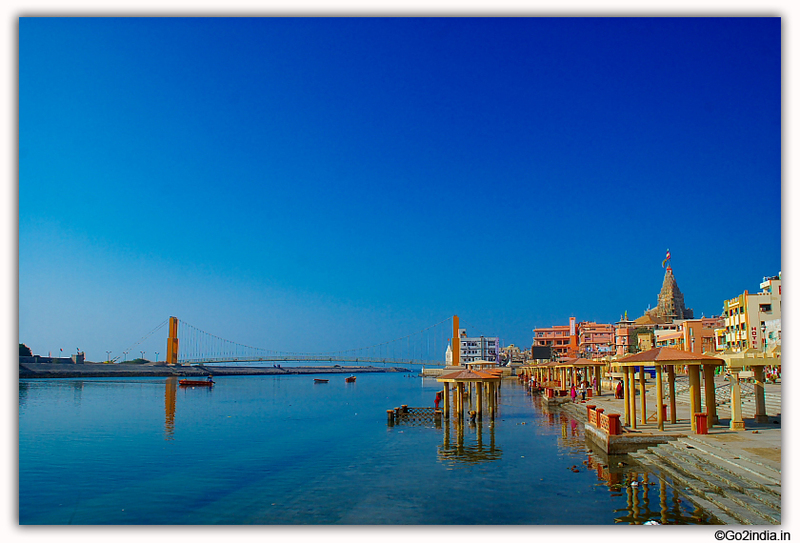 At Kalo Dungar you will get spectacular view of White rann and there is a temple of Dattatreya at the hilltop. After Kalo Dungar and India Bridge return to white Rann ( via Bhirandiyara village ) to enjoy sunset. After sunset return to Bhuj for night stay. If you are interested in staying traditional houses of Kutch region ( known as Bungas ) then you can stay one night near to Village Bhirandiyara , or near White Rann ( village Dhordo ). You may have to take one more day extra to enjoy village life in this region popular for handicrafts and mirror design dresses. 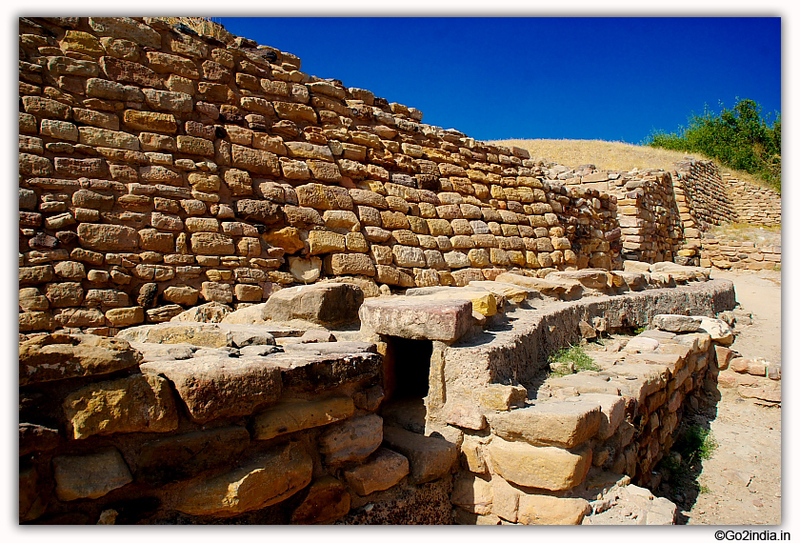 Dholavira is located at a distance of 230 KM from Bhuj town and it will take 5 hours to reach this place. On the way you will cross 7 KM road stretching across Rann of Kutch Lake. Night you can stay here or return to Bhuj. If you have plan to return by road to Rajkot or Ahmedabad then you need to return to Bhuj again. 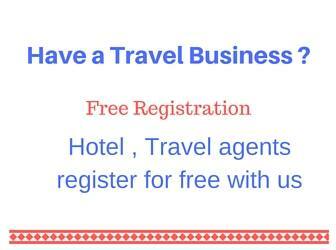 Above itinerary is only a suggestion and you can change this based on your interest and available days for the travel. Some spots like Dholavira is quite popular among foreign tourists whereas White Rann is popular among Indian tourist. Note that during summer many places like white Rann , Kalo dungar are inaccessible and resorts in those areas remain closed. Temperature remains very high and frequent sand storms occurs in these dry lands. All tourist activities starts from mid October months and continue till March. However Bhuj town is open throughout the year. 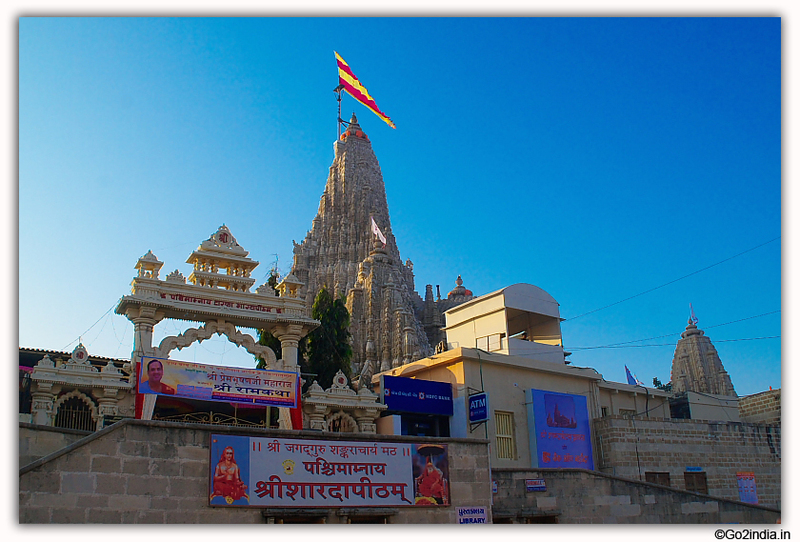 To arrive and return from Bhuj overnight trains and buses are available from Bhuj to Ahmedabad or any other places. Bhuj is also well connected by Air route with daily flights from Mumbai, Ahmedabad and Rajkot.